Jonathan Gruber is a Liar. 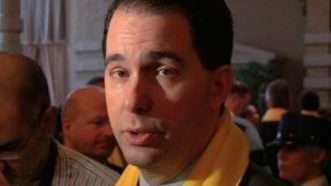 Was He a Liar Under Oath? Jonathan Gruber's Weak New Excuse for His Obamacare Exchange Subsidies "Speak-O"
Former HHS Secretary Kathleen Sebelius Says Jonathan Gruber Didn't Influence Congressional Authors of Obamacare. That's Not True. 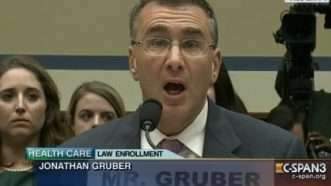 Yes, Jonathan Gruber Is An Obamacare "Architect"
The health law's allies are trying to distance themselves from the economist's remarks about the deception involved in passing the law. But they're only proving him right. Tonight on The Independents: Gruber? I Just Met Her! Plus Bill Nye the Science Guy, Robert Bryce on Keystone, Kmele Foster on the USA Freedom Act, Michael Weiss on ISIS, After-show, and More! Nancy Pelosi Says She Doesn't Know Who Jonathan Gruber Is. But in 2009, She Cited His Work By Name.